I love kitchen tools! I collect them -- although -- I don't always use them! 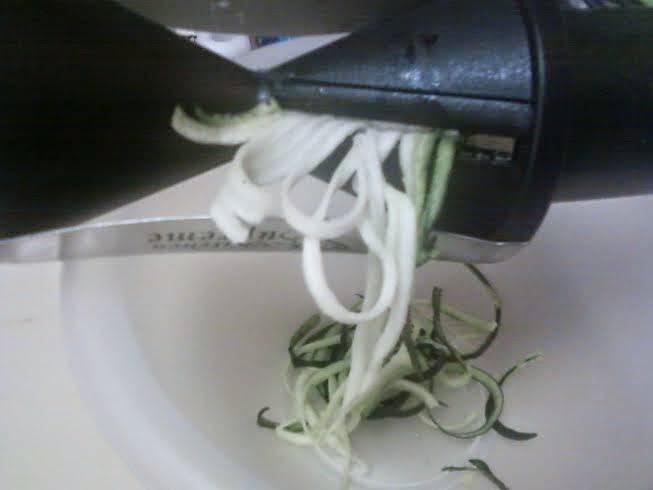 However, I recently was given the opportunity to review the new Spiral Vegetable Slicer for Healthy Salads/Pasta. 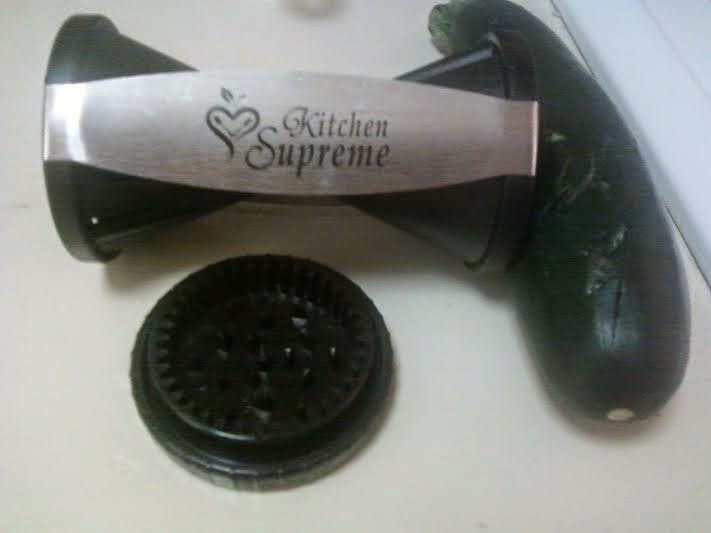 This is a kitchen tool I WILL use. I love it already. Getting Mike to eat veggies is like pulling teeth. He resists at every turn. Well... I got him last night. 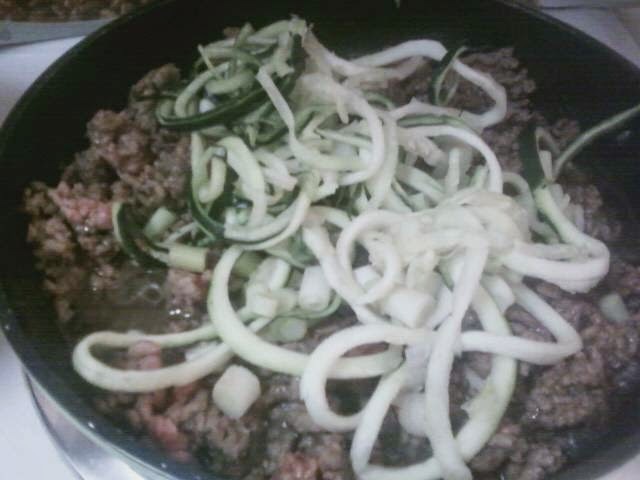 We made spirals out of zucchini and I added them to the sauce for the spaghetti. He ate it up! He loved it! I seriously didn't know what to expect when the package arrived. I imagined a large, bulky, heavy piece of equipment. Not so! Happy surprise: It's small, light weight, easily managed. It needs no assembly. 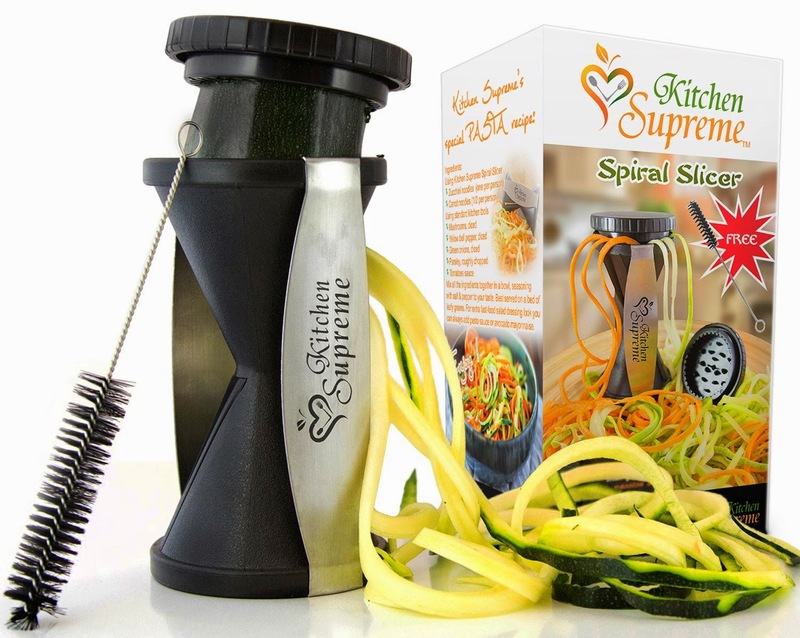 The Kitchen Supreme Spiralizer fits into my kitchen drawer easily. It comes with a cleaning brush for the hard to reach inside. Just a quick brush or two, rinse well, dry, and tuck it neatly into it's nylon pouch! This is a product I highly recommend! It will be a much-used, much-loved addition to your kitchen essentials. 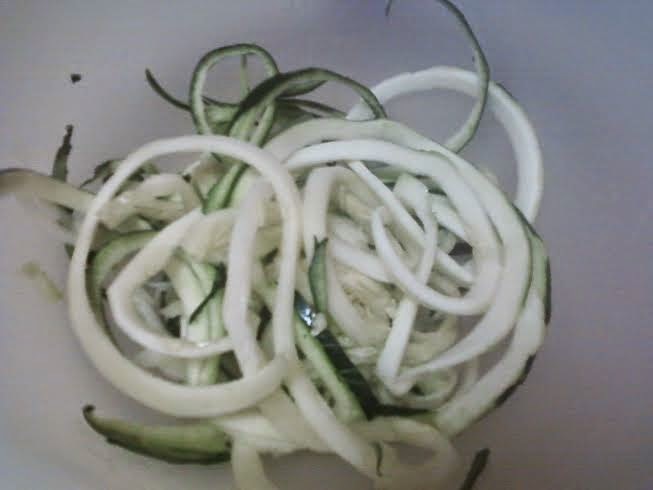 You may purchase the Kitchen Supreme Spiralizer from Amazon.com -- AVG: $15.84. That is a marvelous bargain! 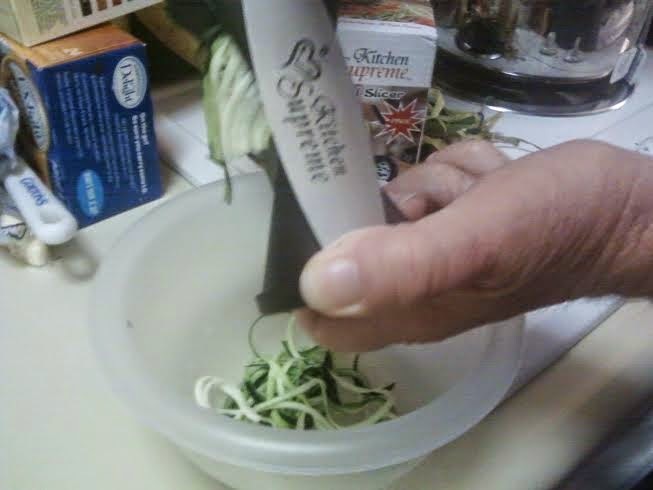 DISCLOSURE: I received the Kitchen Supreme Spiralizer as part of an advertorial with Tomoson.com. I received no monetary compensation. The opinions expressed herein are my own and based on my own use of and experience with the item(s).